Cats are wonderful animals and companions. 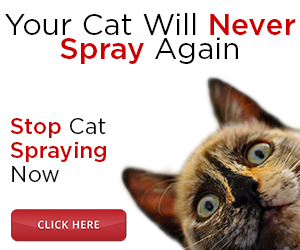 It is surprising to hear that people often overlook the importance of basic cat health issues. Follow these cat care health tips to ensure that your feline friend is a healthy and happy cat. You should bear in mind that cats have a very acute digestive system and have specific nutritional needs. You pet needs to be fed a balanced diet containing water, proteins, vitamins and fatty acids. The use of dry foods in your cat bowl will ensure that your pet has clean teeth and healthy gums. Try not to be tempted to put water with the dry food as this may lead to wasted food and also makes the food go off quicker which can make your cat sick. Never feed your feline friend anything which has bones in it. This includes foods such as turkey and chicken. these bones splinter easily and can really injure your companion. Make sure that your cat's food is served at room temperature and not straight out of the fridge. Cats have a tendency to vomit cold food. The best place for a cat is in the home. If you let your cat roam outside then there are many hazards that can put him / her in danger. These include predators, cars and rat poison. It has been proven that cats which live indoors will have a greater life expectancy than those allowed to roam outdoors. Your cat may also annoy the neighbors and is likely to kill wildlife such birds if put out at night.